Breville vs De'Longhi: Which's Better for YOUR Countertop? 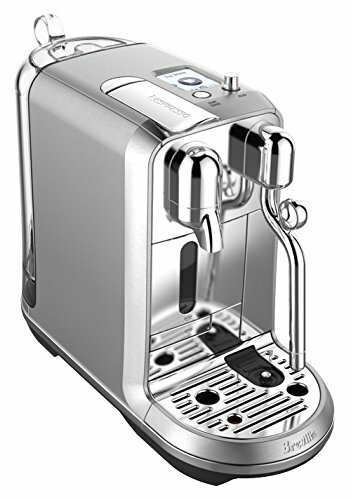 Breville and De’Longhi are two of the top brand names in espresso machine production. Each lineup has its own assets, making it difficult to choose between them. But don’t worry; we’ve got you covered. Read on for a brief overview of each brand plus a breakdown and comparison of their best machines. 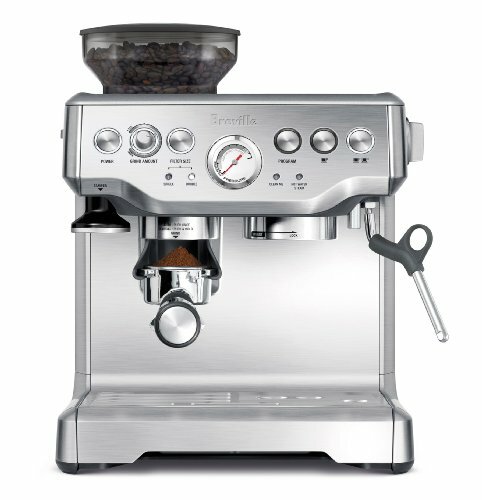 Founded in 1932, Breville is a prominent household name, especially in its mother country, Australia. They’ve been on the espresso market since 2001, but they got their start with radios during the Second World War. Now, they are based in Canada, Hong Kong, New Zealand, and the United States, though some of their machines are manufactured in China. They are also renowned for their superior customer service and top-notch quality. Originally a manufacturer of household appliances, De’Longhi is a family-owned Italian brand. Their presence in the realm of espresso machines started in 2008, and they produce a variety of semi-automatic to super-automatic machines. Further, De’Longhi is most well known for its accessible product range and is one of the brands responsible for bringing espresso bar capabilities to the general public. Even with their budget-friendliness, their products’ designs are still sleek. Our first category, semi-automatic espresso machines, tends to be our personal favorite. Semi-automatic machines are often a good indication of the versatility of a brand’s mechanics and design. They also give the user the best balance of flexibility and convenience. Additionally, semi-automatic machines allow the barista to start and stop a shot with the push of a button but usually require him or her to manually tamp the grounds. First, the Barista Express is one of our favorite espresso machines, period. This machine sleek semi-automatic puts a lot of the competition to shame with its user accessibility and brewing flexibility. Like many semi-automatic machines, the Barista Express has automatic redundancy features. That means you get the programmability and personalization options that come with semi-automatic machines but can still take advantage of automatic conveniences on occasion. With the more mid-range price the comes a plethora of improves and additional features as compared to the De’Longhi model. The water reservoir is considerably larger at 67 fl.oz (2L). 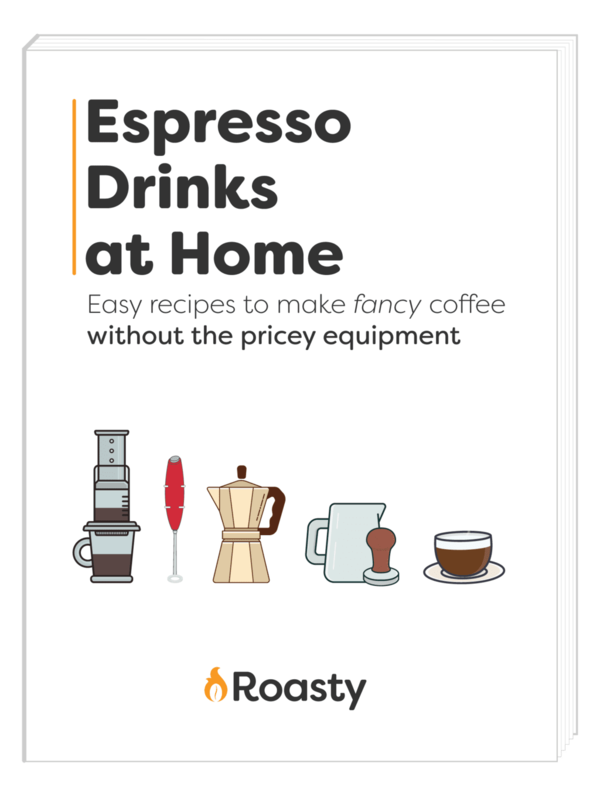 It also includes a 1/2 pound sealed bean hopper and a stainless steel conical burr grinder, so you won’t need to purchase a stand-alone grinder to enjoy fresh espresso. Other things to note are the clean-me light, 54 mm tamper, 360 degree swivel steam wand, and included frothing pitcher. Even with all the extras, this machine is still relatively compact, measuring 13.25 x 12.5 x 15.75 in. However, it still requires a sizable amount of counter space, so make sure you measure BEFORE you buy. One of the only drawbacks we’ve found with this machine is the lack of a water-sensor. That means you’ll have to make sure you have enough water for the beverage you’re making before you set the machine to run. Otherwise, you may damage the internal mechanics as the machine tries to pull a shot without any water. Overall, this machine is often at the top of at-home baristas’ wish lists and is likely worth the investment if you want a top-notch machine without completely draining your savings. That’s why you’ll find this machine at the top of most espresso machine rankings. This super budget-friendly machine is perfect for beginner baristas, as it offers decent brewing at a reasonable price. This semi-automatic machine is a single-boiler system that is compatible with both pre-ground coffee and coffee pods/capsules. The water reservoir is a little on the small side with a maximum capacity of 35 fluid ounces. But this size is comparable to other machines in the price range. Plus, the smaller reservoir means less counter space you’ll have to sacrifice. All things considered this machine is pretty compact, but that doesn’t mean you forfeit much functionality. The EC155 features a swivel jet frother, self-priming operation, and two independent thermostats. These let you for prepare specialty drinks, save startup time, and control water and steam temperatures respectively. Plus, for such a budget friendly machine, this De’Longhi can pull an excellent shot. So you’ll likely be able to enjoy your caffeine fix without needing to dilute the drink too much with milk products or sweetners. Because the EC155 doesn’t have a built-in grinder, you’ll need to get a separate coffee grinder if you really want to get the most out of this machine. 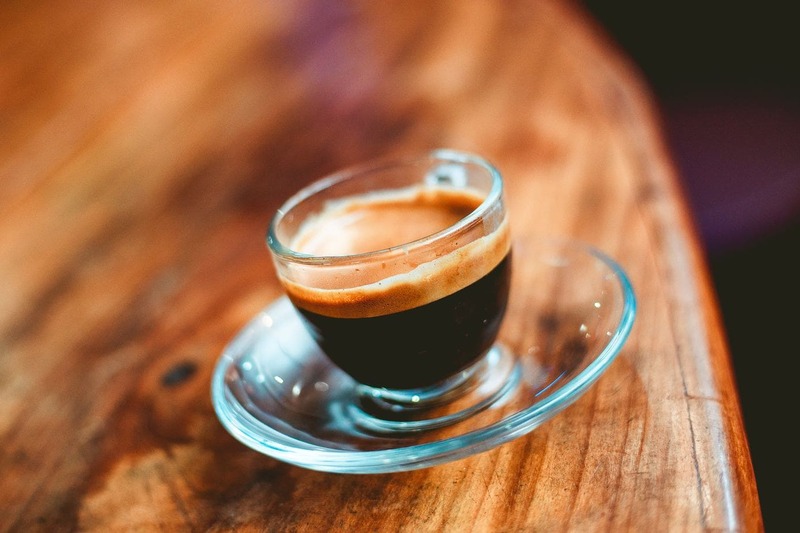 Alternatively, you could use ready-ground coffee, but the flavor and freshness of your espresso will likely suffer. A few known drawbacks for this machine include volume and demitasse clearance. This machine can get a little noisy as it vibrates quite a bit, and the max cup height is 2.5 inches, making larger drinks (like lungos) more difficult to brew. However, for the price, a beginner barista still gets some serious bang for his or her buck, which is why this machine is consistently ranked as one of De’Longhi’s best. Fully and super automatic machines give you the full extent of a brand’s functionality capabilities. These generally include “flowmeters” to monitor shot pulling for you. Super automatics will often also grind and tamp the beans for you. This category is best for those who aren’t looking to contend with much of a learning curve and care more about efficiency and convenience than customization. Automatic machines also tend to be pricier than semi-automatics. If you’ve got a big budget and are on the market for a truly luxurious machine, then this Breville option might be for you. With a colorful, touch screen LCD display, users can make their perfect cup of java in just 3 steps: grind, brew, and milk. You can adjust just about everything from strength, to texture, to temperature. Plus, once you’ve figured out what you like, you can name and save up to 8 personalized coffees. This machine also features a 1/2 lb bean hopper capacity and an integrated, stainless steel conical burr grinder. The water tank is located at the back of the machine with a capacity of 67 fl.oz. The only bones we have to pick with this machine is the lack of auto-tamping and the location of the water reservoir. Everything else is pretty stunning, as should be expected at this price point. 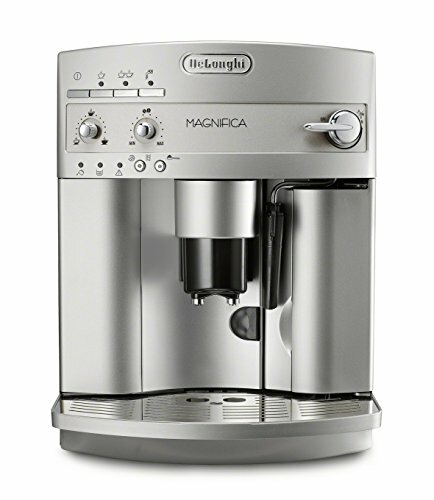 De’Longhi’s Magnifica is closer to their top of the line offerings, but it still comes at a pretty reasonable mid-range price. This is a super-automatic machine with bean-to-cup capabilities thanks to the 8.8 ounce bean hopper and integrated burr grinder. Additionally, you can enjoy a sizable 60 ounce water reservoir. The steam wand swivels 180 degrees and their patented frothing system produces a rich, creamy froth. Plus, as far a programmability, the rotary and push button control panel is easy to use and includes programmable menu settings. These specs let you get almost as much flexibility with this machine as a semi-automatic. The main complaint this machine gets is about its volume. The grinder is on the loud side. However, with top-notch features and a mid-range price, it’s no surprise that this continues to be one of De’Longhi’s best sellers. This machine is best for newer baristas, though anyone can enjoy the reliably great shot pulling. Both of these brands partner with Nespresso to produce compatible espresso machines. Oftentimes, the models produced by the respective brands are nearly identical in both look and design. However, we will give you a comparison of our favorite Nespresso product from each brand to highlight the strong-points for each brand. Both of the following machines are specifically marketed as specialty drink machines. The Creatista is best for latte-lovers with slightly larger budgets. In this machine, you can see the distinct, sleek Breville design quality. 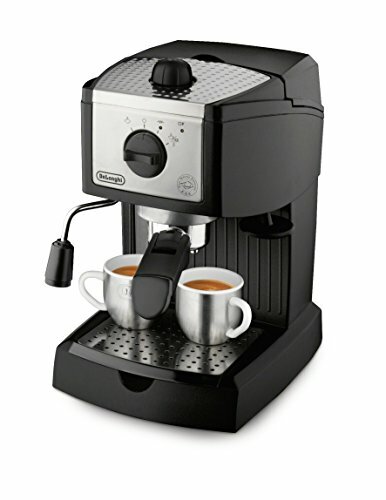 The price tag is slightly higher than it’s De’Longhi competition above, as is usually the case with these two brands. Additionally, as customizability is in Breville’s wheelhouse, this machine features a steam wand, 8 coffee options, 4 froth levels, and 11 temperature settings. Best for flat white or dry cappuccino lovers, this lower budget De’Longhi machine is the respectable counterpart to the Creatista Plus. 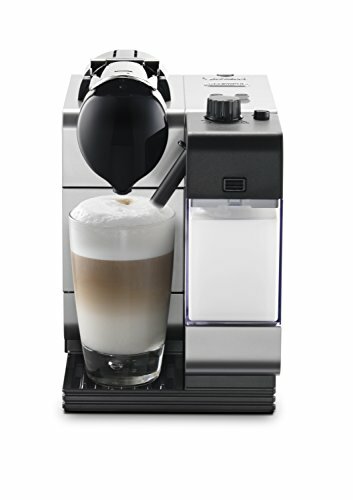 One of the only self-proclaimed “latte” machines, this model enjoys the accessible price of many De’Longhi models. While it doesn’t have a milk frother, (which is why we said it’s best for capps and flats) it shines when it comes to user-friendliness. This machine isn’t incredibly customizable, but it does have a pretty adequate range of programmability, especially if you’re new to the world of home-brewing. It even has a self-cleaning option and an auto-time option. Plus, as can be expected with De’Longhi’s knack for wide-range accessibility, you can find slightly more advanced One If you click this link and make a purchase, we earn a commission at no additional cost to you. and Pro If you click this link and make a purchase, we earn a commission at no additional cost to you. options, which are both under $500. If you have a larger budget and more experience with at-home brewing, chances are you’ll be better off with a Breville. On the other hand, if you’re new to the espresso scene or you’re wallet-capacity is a little more modest, you should probably be looking at De’Longhi. Either way, you’re getting a quality, reliable espresso machine.